Silvia Federici, "Reproduction and Feminist Struggle in the New International Division of Labor"
"Reproduction and Feminist Struggle in the New International Division of Labor"
[L]ife involves before everything else eating and drinking, a habitation, clothing and many other things. The first historical act is thus the production of the means to satisfy these needs, the production of material life itself. And indeed this is an historical act, a fundamental condition of all history, which today, as thousands of years ago, must daily and hourly be fulfilled merely in order to sustain human life. Karl Marx and Friedrich Engels, The German Ideology, 1845-6 (trans. C. J. Arthur, 1970). [M]en, who daily remake their own life, begin to make other men, to propagate their kind: the relation between man and woman, parents and children, the family. With these [historical factors] develops the division of labour, which was originally nothing but the division of labour in the sexual act, then that division of labour which develops spontaneously or ‘naturally’ by virtue of natural predisposition (e.g. physical strength), needs, accidents, etc. etc. Division of labour only becomes truly such from the moment when a division of material and mental labour appears. [T]he difference with housework [as opposed to waged work] lies in the fact that not only has it been imposed on women, but it has been transformed into a natural attribute of our female physique and personality, an internal need, an aspiration, supposedly coming from the depth of our female character. Silvia Federici, "Wages Against Housework," 1970. 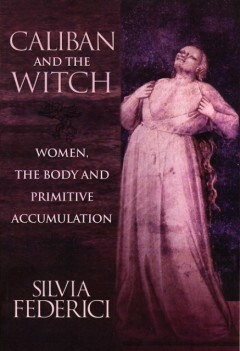 Silvia Federici, Caliban and the Witch, 2004. The NIDL is usually identified with the international restructuring of commodity production that has taken place since the mid '70s when, in response to intensifying labor conflict, the multinational corporations began to relocate their industrial outfits, especially in labor-intensive sectors like textile and electronics, in the "developing countries." The NIDL is thus identified with the formation of Free Trade Zones—industrial sites exempt from any labor regulation producing for export—and with the organization of "global assembly lines" by transnational corporations. Federici, "Reproduction and Feminist Struggle in the New International Division of Labor" (66-7). On the basis of this situation it should be possible to see that any feminist project exclusively concerned with sexual discrimination and failing to place the "feminization of poverty" in the context of the advance of capitalist relations, is condemned to irrelevance and co-optation. In addition, the NIDL introduces an international redistribution of reproductive work that strengthens the hierarchies inherent in the sexual division of labor and creates new divisions among women. Federici, "Reproduction and Feminist Struggle in the New International Division of Labor" (70). If it is true that the remittances sent by immigrants constitute the main international monetary flow after the revenues of the oil companies, then the most important commodity that the "Third World" today exports to the "First" is labor. In other words, as in the past, today as well, capitalist accumulation is above all the accumulation of workers, a process that occurs primarily through immigration. Federici, "Reproduction and Feminist Struggle in the New International Division of Labor" (71). The employment of a domestic worker, moreover, makes women (rather than the state) responsible for the work of reproduction and weakens the struggle against the division of labor in the family, sparing women the task of forcing their male partners to share this work. It is no use, in fact, to criticize women who employ domestic workers, as some feminists do. As long as reproductive work remains an individual or family responsibility, we may not have much of a choice, particularly when we have to care for people who are ill or not self-sufficient, and in addition have jobs outside the home. Federici, "Reproduction and Feminist Struggle in the New International Division of Labor" (71, 73). As "Third World" feminists have often stressed, the inequalities that exist among women at the international level also affect the politics of the feminist movement. Access to greater resources (travel, grants, publications, rapid means of communication) allows European and North American feminists to impose their agendas on the occasion of global conferences, and play a hegemonic role in the definition of what feminism and feminist struggles must be like. Federici, "Reproduction and Feminist Struggle in the New International Division of Labor" (74). Federici, "Reproduction and Feminist Struggle in the New International Division of Labor" (74-5). Affective labor, then, is labor that produces or manipulates affects such as a feeling of ease, well-being, satisfaction, excitement, or passion. One can recognize affective labor, for example, in the work of legal assistants, flight attendants, and fast food workers (service with a smile). One indication of the rising importance of affective labor, at least in the dominant countries, is the tendency for employers to highlight education, attitude, character, and "prosocial" behavior as the primary skills employers need. A worker with a good attitude and social skills is another way of saying a worker adept at affective labor. Hardt and Negri, Multitude (108). 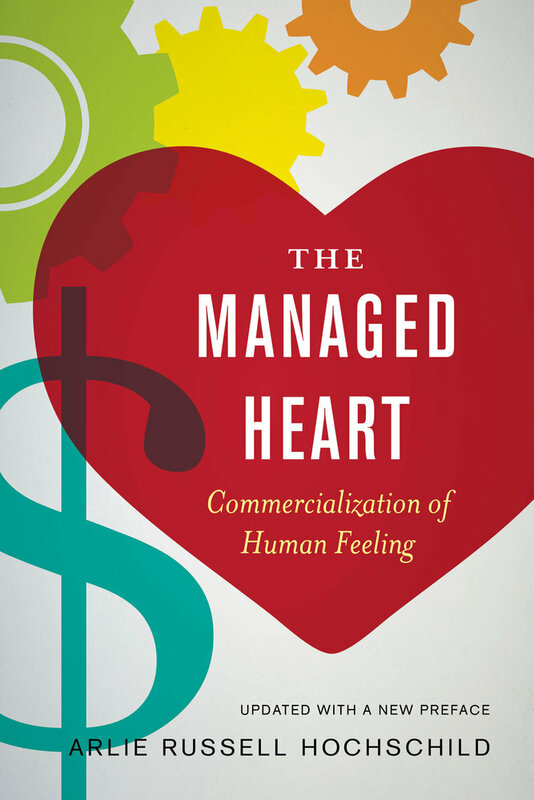 Arlie Russell Hochschild, The Managed Heart: The Commercialization of Human Feeling, 1979. This presentation was made using reveal.js 3.5.0, by Hakim El Hattab.